Mavin Records signee, Jonny Drille, is still holding his fans down as he continues to build on his new kind of country music which some Nigerians have come to accept. 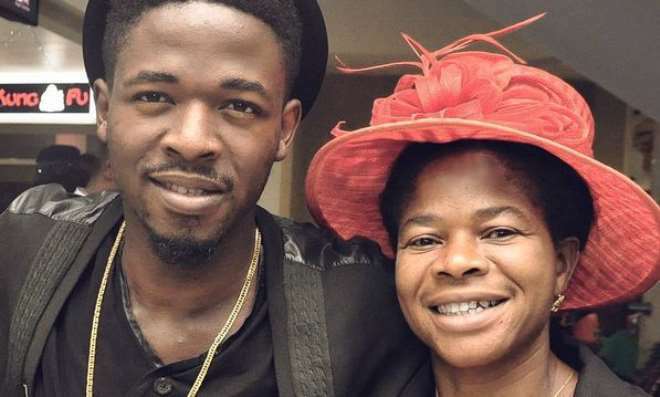 The singer recently celebrated his mother who turned a year older and sharing how happy he was for his mother, he recalled how he and his younger ones have always planned on how to make their parents happy when they make it in life. Jonny stressed that that dream has not been forgotten as he hopes to build his mother a good home when he makes enough money from his musical career. “I hardly ever cry but I couldn't help it after I saw mummy for the first time two days ago over a video call, after almost two months since I relocated to Lagos. She looked great and relaxed. She, dad, and my brothers were really excited to see me and I couldn't hide my own excitement. I showed them around the house and my new studio. Lol. “She is the strongest and bravest woman I know, she is my wonder woman. I've written and recorded two songs about her already but they still don't capture enough of her like I'd like to show the world. When we were younger my siblings and I used to brag about how we would build dad and her big houses and buy them cars. We still will, and I promise I will when I have made money momma! Happy Birthday to the most precious woman to me, Happy Birthday Mummy,” he shared.